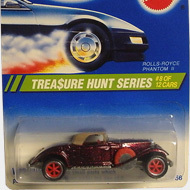 9/12 from the 1995 Treasure Hunt series. The Caddy features green metalflake paint and grey fenders and running boards. 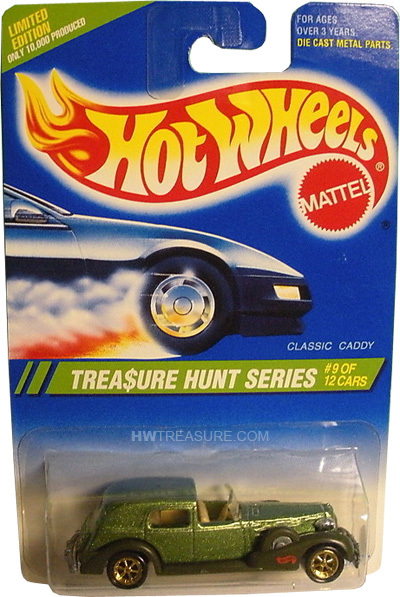 It has clear windows, a tan interior, gold Pro-Circuit 6-Spoke wheels, and an unpainted Malaysia base. 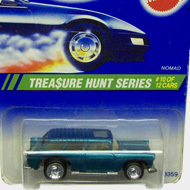 The ’35 Classic Caddy debuted in the 1982 Hot Wheels series. It is based upon the 1930’s Cadillac that featured flared fenders, running boards, and bullet headlamps.